Turntable icon A-Trak last teamed up with Australian DJ Tommy Trash on 2013’s excellent single “Tuna Melt,” and today the pair are officially calling it a winning streak with their new collaboration “Lose My Mind.” Embodying the best elements of glitchy, hyperactive dance-pop, “Lose My Mind” further incorporates elements of disco and house to great effect. It features colossal wubs and heavy drums, yet moves with almost a graceful weightlessness. It’s a song that would do well as a staple of A-Trak’s frenetic live shows. Listen below. 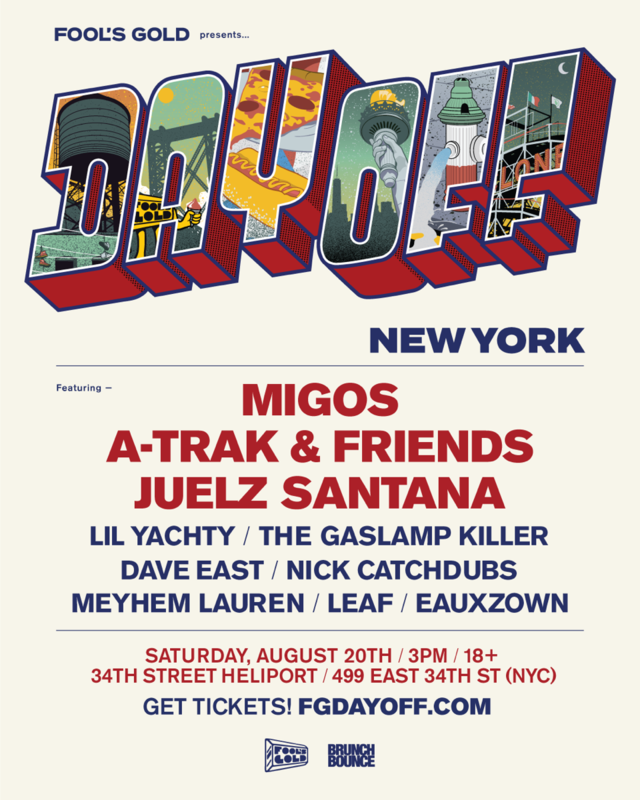 Speaking of A-Trak’s live shows, his label Fool’s Gold is hosting their seventh annual Day Off festival in Brooklyn a few weeks from now, an event which will feature a performance from the bossman himself, as well as sets by Lil Yachty, Migos, Juelz Santana, Dave East, and a splattering of other musicians both on and off the label. It’s sure to be a fun, extremely sweaty time at the 34th Street Heliport. Check out details for the NYC edition of Fool’s Gold Day Off in the banner below.